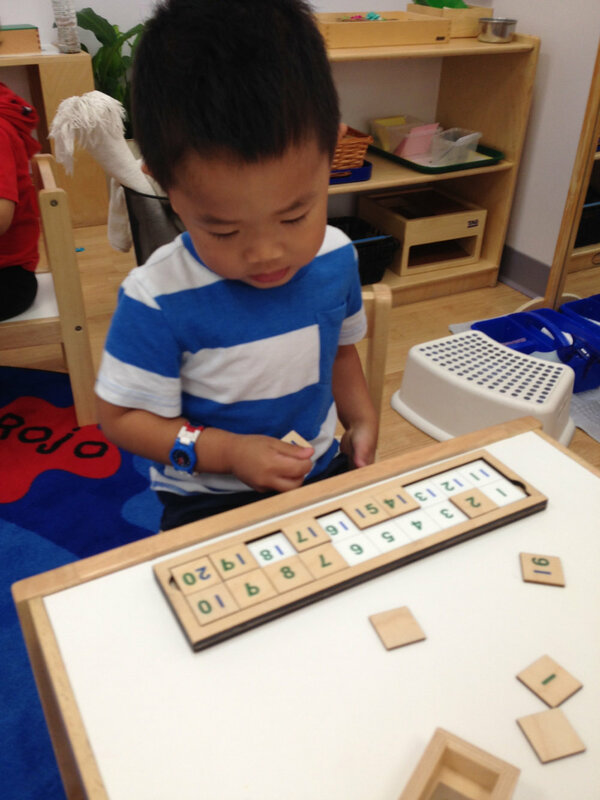 The Twenty Board is a new Math material in the Toddler 1 classroom. This work can be done in two ways: The child may either match numbered tiles from one to twenty to their corresponding place within a wooden frame, or remove the control and order the tiles by memory. While understanding how to build quantities larger than ten is a skill acquired at an older age, this material appeals to the Toddlers’ sense of order and love of counting.